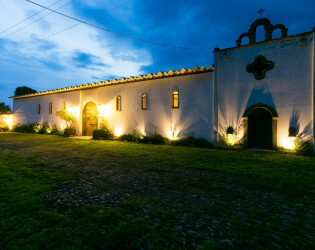 If you ever flee to Mexico, due to cops or in-laws, and are looking to calm your nerves with more than the southwestern sun, kick up your beat-red heels at this rustic 3-hectacre winery. 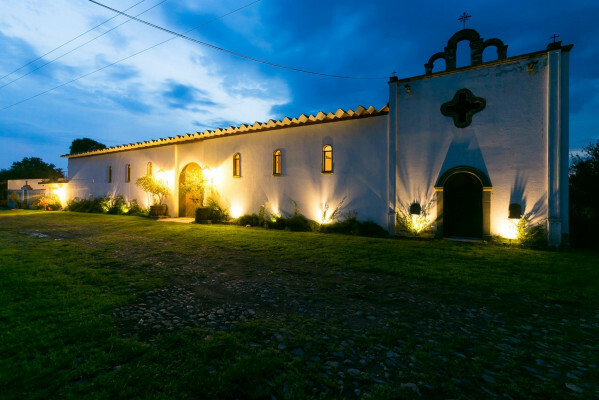 Just shy of San Miguel de Allendea, but nothing close to bashful, the winery, housed in an old chapel, ensures that its 10 grape varieties stir up delicious trouble with equally natural ingredients in French oak barrels, a mix that invites you to stay a while. But if you're in the mood for a more raucous time, the tasting room, adored with plants and local artwork, will steal your heart, your inhibitions, and all sense of time. Located 15 minutes away from the center of San Miguel de Allende, Bodega Dos Buhos and it’s adobe house are a perfect site for your events and your stay. 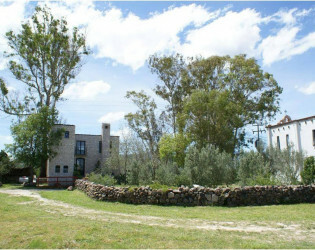 Beautiful landscape and ranch offering calmness and good wine. Depending on your event or goa during your stay in our Adobe House, we can offer you activities at the ranch such as wine pairing, bike rides, massages (indoor or outdoor as you wish), horse back riding in a nearby ranch (minimum of 4 people) live music and services of chef for paired meal. Or, you may decide to simply enjoy the sounds of nature provides by a variety of birds, donkeys, horses nearby the house or bodega. The prices quoted are for a basic rental without any additional service, time, equipment or extras. The property has a full kitchen as well as an outdoor BBQ area that can be rented as well as many extra supplies, such as tables and chairs for 80 charge. The vineyard also offers wine at a special price. Bodega Dos Búhos is closed for Christmas Day. New Years Day, and Easter Sunday as well as it’s annual Harvest Festival and several in house events during the year. 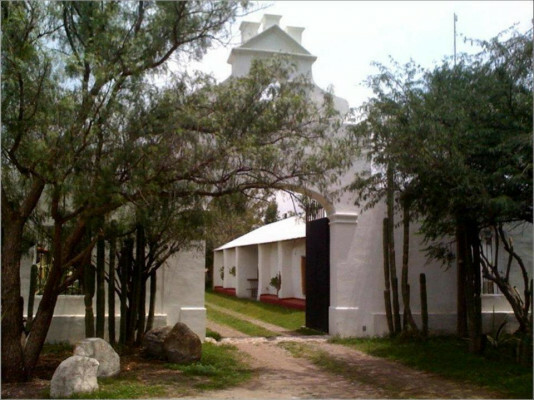 Bodega Dos Buhos is a winery just outside the center of San Miguel de Allende. 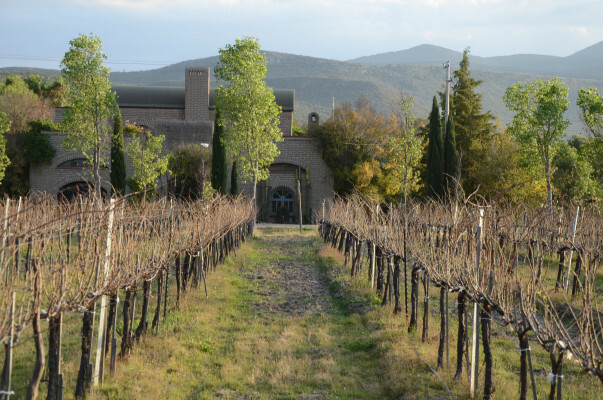 The property has a past of over 50 years of agricultural production, fruit and livestock, which now, although solely dedicated to wine production, allows the winery to use their extensive and accumulated knowledge on the climate and soil of the region. 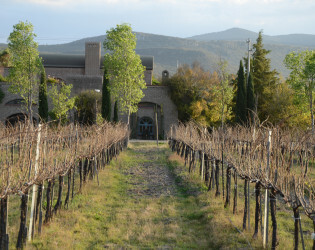 The vineyard has 3 acres and 10 different varieties of grapes. 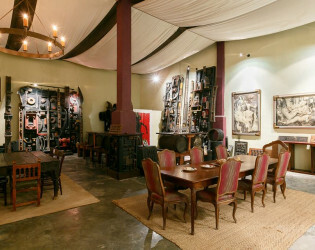 The property includes a cellar which is spacious room ideal for all kinds of different events. 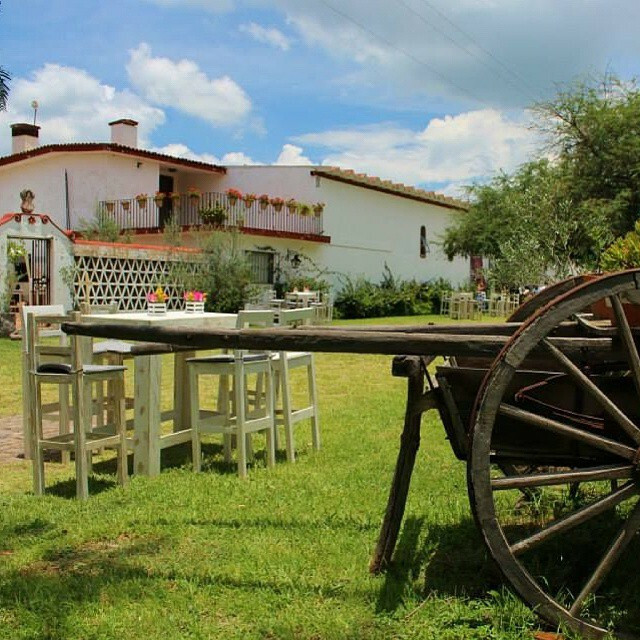 Located 15 minutes away from the center of San Miguel de Allende, Bodega Dos Buhos and it’s adobe house are a perfect site for your events and your stay. 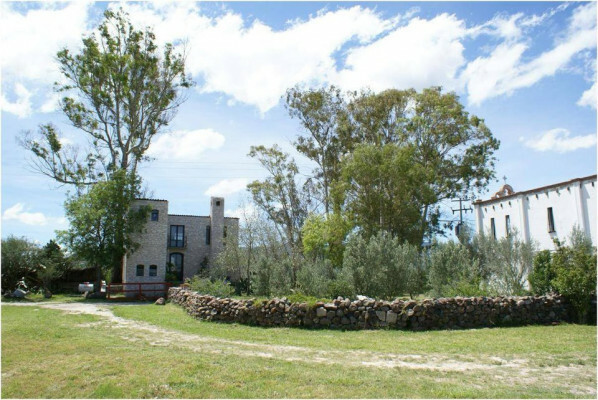 Beautiful landscape and ranch offering calmness and good wine. 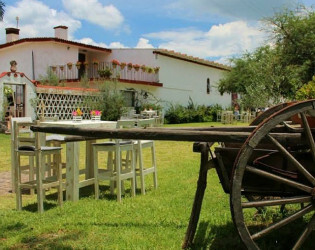 Depending on your event or goa during your stay in our Adobe House, we can offer you activities at the ranch such as wine pairing, bike rides, massages (indoor or outdoor as you wish), horse back riding in a nearby ranch (minimum of 4 people) live music and services of chef for paired meal. Or, you may decide to simply enjoy the sounds of nature provides by a variety of birds, donkeys, horses nearby the house or bodega. A magnificent outdoor atmosphere, impressionable views, terraces and gardens, a vineyard within the property perimeters, as well as extensive pastures of grasses offer a romantic aura and incredible enchantment – perfect to celebrate your client’s wedding. Not only has Bodega Dos Búhos hosted weddings, but we have had large corporate events, birthday celebrations, family reunions, and baptisms. Bodega Dos Búhos’ greatest advantage is It’s proximity to San Miguel Allende, only three minutes from the outskirts of town...and yet just by going this short distance you are filled with a sense of peace within this beautiful venue looking at the mountains across the way. When the guests enter the large white arched entryway to the Hacienda, they are immediately consumed by nature and tranquility, where they can’t help but relax. 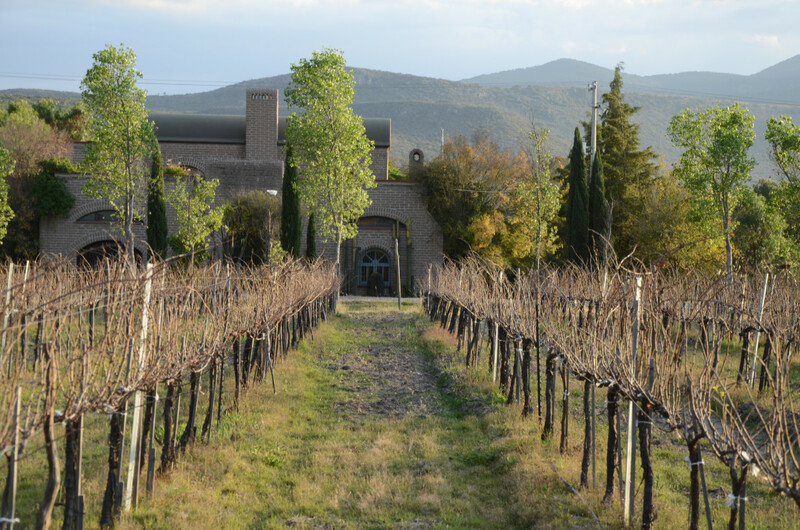 Our vineyard, winery and organic wines offer a unique experience for your guests, a marvellous way to incorporate a touch of sophistication and the romance of wine. The whole experience promises to be a memorable occasion for their family and friends, unlike any other and will be filled with fun, laughter, love. 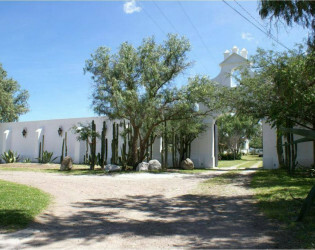 Includes: Use of the Bodega for up to 250 guests as well as outdoor areas, gardens, patios. Parking area for 250 people. Separate loading and unloading area for caterers where vehicles will not be seen. Bathroom facilities for guests and separate facility for staff. Small kitchen for food prep. Exquisite bar area for event. Bodega Dos Búhos staff includes (1-2) persons in charge of event, (1-2 ) persons in charge of parking, (1-2) persons in charge of bathrooms and maintenance, depending on size of event. Awards & Notables Newspaper: NY Times, Reforma, El Universal Magazines: National Geographic and MEXICO DESCONOCIDO, Bleu & Blanc Book: Bebiendo nuestra Tierra, Vinos de Centro Mexico, y Guia de Vinos Mexicans Telenovela :Caminos a Guanajuato. 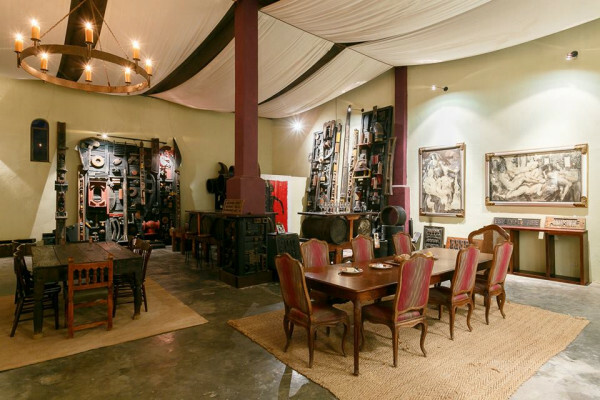 Dos Búhos offers an enclosed event space for 250 seated guests as well as room for a band and a bar in the bodega. The area in front of the vineyard for an outdoor ceremony can accommodate approximately 100 seated and another 50 standing. 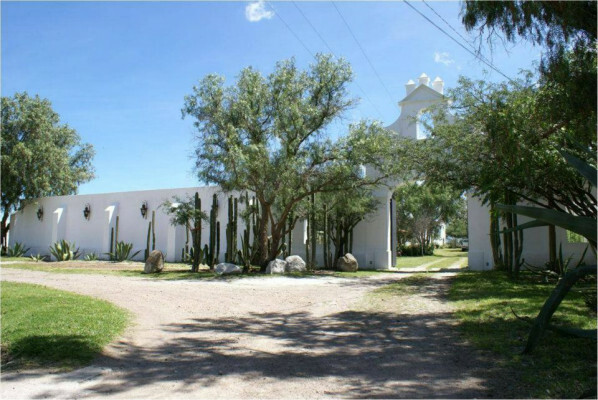 The area under the Mesquite tree can accommodate approximately 60 seated guests and another 100 standing.